An experimental vaccine given six weeks before exposure to Middle East respiratory syndrome coronavirus (MERS-CoV) fully protects rhesus macaques from disease, according to new research published this week in Science Translational Medicine. The synthetic DNA vaccine also generated potentially protective MERS-CoV antibodies in blood drawn from vaccinated camels. MERS-CoV, which causes pneumonia deep in the lungs, emerged in 2012 and has sickened more than 1,400 people and killed 500, mostly in the Middle East and Asia. Led by University of Pennsylvania scientists, the team developed the investigational MERS vaccine by learning from previous vaccine studies of another coronavirus that causes severe acute respiratory syndrome (SARS). SARS sickened more than 8,000 people and killed more than 700 in 2003. The experimental MERS vaccine uses the S spike protein to generate immunity; because MERS-CoV undergoes mutations, the scientists created a “consensus” S protein by comparing all available MERS-CoV protein sequences. 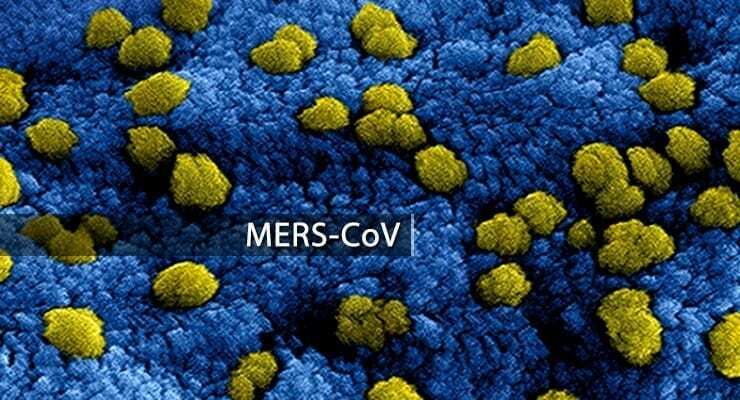 This synthetic protein has shown broad protection against different MERS-CoV types, the scientists report. Collaborators included researchers from the National Institute of Allergy and Infectious Diseases, Division of Intramural Research; Public Health Agency of Canada; Inovio Pharmaceuticals; the University of Washington; and the University of South Florida. The rhesus macaques received low -or -high doses of the vaccine, although results showed no significant differences between the groups and antibody responses appeared after one or two immunizations regardless of dose. Next, the group plans to explore how to condense the six-week timeframe to establish protection, and they are hopeful the vaccine will become a candidate for use in camels and people. The research was backed with funding from the National Institutes of Health.